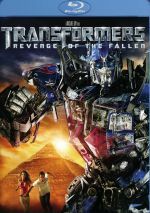 Decepticon forces return to Earth on a mission to take Sam Witwicky prisoner after the young hero learns the truth about the ancient origins of the Transformers. After 2007’s Transformers made $319 million, it surprised no one that the 2009 sequel fared well at the box office. However, I must admit I didn’t expect it to do as well as it did. Yes, sequels routinely outperform original flicks these days, but I didn’t think that Transformers was particularly well-received, so I figured its sequel would fall short of the first movie’s gross. Nope. As it happens, Revenge of the Fallen easily surpassed the original’s take. It ended up with a final gross of $402 million, a figure that placed it second among 2009’s releases; only the mega-smash Avatar topped it, and there’s no shame losing to the highest-grossing film of all-time. As he prepares to leave for college, Sam Witwicky (Shia LeBeouf) finds a shard of the “AllSpark”, the powerful cube around which the first movie’s story revolved. This infects him with its knowledge and makes him the target of the evil Decepticons; led by a nasty dude named the Fallen, they need to harvest the information so they can activate a doomsday device and absorb all the energy of the sun. The good guy Autobots work with Sam to ensure that this doesn’t happen. I guess. Movies like Fallen make me hate the fact that I usually write my own plot synopses. As I watched it theatrically, about halfway through I thought to myself, “I have no idea what this movie’s about”. And even though I managed to sum up its “story” in the paragraph above, I still am not sure I actually covered it well. Actually, I’m really not sure there’s a plot here to synopsize. Fallen comes across as one vaguely-connected action scene after another, with a little slapstick comedy thrown in between those set pieces. Fallen seems to enjoy a much crummier reputation when compared with the first movie. The 2007 flick gets a 7.1/10 from IMDB readers, while Fallen dips to 5.9/10. In addition, on Rotten Tomatoes, Transformers gets a 57% but Fallen drops all the way to a miserable 20%. Which I don’t get. These flicks seem like the proverbial two peas, so I can’t quite figure out why someone would enjoy one and hate the other. As someone who didn’t care for the original, I can’t find anything additional to dislike in the sequel, as it seems like a virtual continuation of its predecessor. Though I will admit Fallen escalates the style of the first movie and occasionally feels like self-parody. Every Michael Bay cliché appears in spades here. His tendency toward broad comedy goes way over the top – usually via the obnoxious portrayal of Sam’s mother – and Bay’s signature cinematic techniques go crazy. The stinking camera spins so much that I started to get dizzy – can’t Bay keep the image stable for even a brief period? Apparently not, so perhaps it’s the “Bay on steroids” feel that makes viewers rank it so much below the original. I don’t see a substantial difference, though; while Fallen might go to greater extremes, it’s not like the first flick exhibited any form of restraint. Transformers cranked its stylistic conceits to the proverbial “11”, while Fallen ups it to “12”. Potato, potahto. Truthfully, I think I enjoyed Fallen a little more than the original, perhaps because of altered expectations. As I relate in my review of Transformers, I went into it with high hopes and felt disappointed by its generally poor quality. 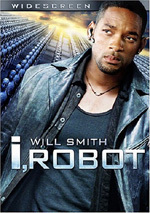 Given that I thought so little of the 2007 movie, I didn’t figure to get much out of the sequel, so perhaps I was better able to semi-enjoy it for what it was and not what it could have been. That’s pretty much the only explanation I can offer for why I preferred Fallen, as it really doesn’t have anything about it to make it superior to Transformers. Both squander their potential with incoherent story elements, one-dimensional characters and loud but lackluster action. I was tempted to simply cut and paste my comments about the first film, as they remain generally true here. Actually, I like LaBeouf less this time, but he’s still fine; he does about as well as could be expected from his role. Fox continues to be hot, and the effects work well. Everything else? A mess. I think Bay can make good action movies – heck, I still like the much-derided Armageddon - but the robot-on-robot focus of much Fallen fighting makes the results less than exciting. I find it tough to care about those characters or worry what happens to them. I guess we’re supposed to be impressed by the sight of giant beings who beat the crud out of each other, but those moments seem like lots of noise without much impact. I also think that the series should’ve left out all of the military characters. They seem anonymous and add next to nothing to the franchise. If the films stayed with Sam’s civilian perspective, they’d be more satisfying. And shorter, presumably. Transformers ran a bloated 143 minutes, and Fallen ups that to 150 minutes. Action flicks can survive at those lengths, but not with such thin characters and such a muddled narrative. Without the meat to back up the mayhem, I think films of this sort should be much shorter. Would a 115-minute Fallen fare better? Probably. Lose the padding and focus on the positives to make this a tighter affair. It might not fix the mistakes, but it’d probably improve the product. Can 50 million Elvis fans be wrong? I guess not – clearly the Transformers films satisfy their intended audience. I continue to find them to disappoint, though. Fallen isn’t worse than its predecessor, but it fails to improve on that model. Transformers: Revenge of the Fallen appears in an aspect ratio of approximately 2.35:1 on this Blu-ray Disc. The first movie looked great on Blu-ray, and that trend continued with the initial sequel. At all times, sharpness appeared positive. Despite some mild edge haloes at times, I thought the image seemed accurate and well-defined. I noticed no signs of shimmering or jaggies, and the movie lacked any print flaws. Like most other Michael Bay flicks, Fallen favored stylized colors – all two of them! Teal and orange heavily dominated, and that could make the hues look goofy at times; the image favored so much orange that actors occasionally resembled Oompa-Loompas. Still, I couldn’t fault the transfer for Bay’s excesses, so this was an accurate representation of the source. Blacks were always deep and tight, and I saw good contrast as well. Shadows seemed clear and appropriately opaque. 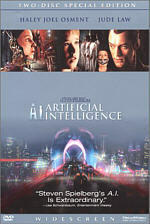 The Blu-ray became a strong reproduction of the film. I felt even more pleased with the movie’s impressive DTS-HD MA 5.1 soundtrack. A movie packed with mayhem and action, the mix used all five channels in a lively, involving manner. Vehicles, weapon-fire, robots and similar elements popped up from all around the room and delivered a smooth, engrossing soundscape. Audio quality was also strong. Music seemed full and bold, while speech was consistently natural and crisp. Effects became the most prominent component, of course, and packed a solid punch, with positive clarity and range. People invest major bucks in home theaters for flicks like this, and Fallen delivered the goods. Only one extra appears on the movie disc: an audio commentary from director Michael Bay and writers Roberto Orci and Alex Kurtzman. It combines two separate tracks; Bay sits alone, while the writers chat together. We learn about cast, characters and performances, challenges related to creating a sequel, story elements and influences, stunts and effects, sets and locations, and related topics. As always, Bay offers a good look at his movie – along with plenty of dollops of his ego. He tends to talk about his own skills and achievements without much modesty, and that attitude gets a bit tedious. Nonetheless, Bay covers an awful lot of useful subjects and does so in an efficient manner. If you can take his self-aggrandizement, you’ll find plenty of worthwhile material along the way. The writers help flesh out their side of things as well. They lack the same level of ego as Bay and can be funny and entertaining. All aspects of the track mesh together to create a solid commentary. On Blu-ray Two, we launch with a seven-part documentary called The Human Factor: Exacting Revenge of the Fallen. 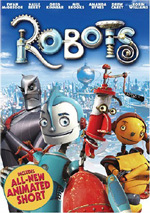 All together, these run a total of two hours, 14 minutes, 31 seconds and feature Bay, Orci, Kurtzman, executive producers Steven Spielberg, Brian Goldner and Mark Vahradian, director of photography Ben Seresin, producers Ian Bryce and Lorenzo di Bonaventura, production designer Nigel Phelps, writer Ehren Kruger, assistant art director Page Buckner, robot art director Ben Procter, Hasbro Senior Design Director Aaron Archer, Hasbro Senior Marketing Director Greg Lombardo, co-producer Allegra Cregg, art director Lauren Polizzi, visual effects supervisor Scott Farrar, Special Air Service Forces Matthew Marsden, 2nd AD Chris Castaldi, special effects coordinator Jim Schwalm, 1st AD KC Hodenfeld, special effects supervisor John Frazier, supervising art director John Billington, DOD Project Officer Lt. Col. Greg Bishop, Air Force Liaison Lt. Col. Francisco Hamm, Air Force Entertainment Liaison Office Deputy Director Capt. Bryon J. McGarry, DOD liaison Phil Strub, stunt coordinator Ken Bates, location manager Ilt Jones, editors Thomas A. Muldoon, Joel Negron, Paul Rubell and Roger Barton, visual effects producer Wayne Billheimer, digital artist supervisor Dave Fogler, associate visual effects producer Jeff White, animator supervisor Scott Benza, animation supervisor Dan Taylor, visual effects supervisor Matthew Butler, compositing supervisor Lou Pecora, CG supervisor Paul George Palop, animators Peter Kelly and Charles Alleneck, digital artist supervisor Richard Bluff, lead digital artist Kaori Ogino, visual effects art director Alex Jaeger, digital production supervisor Jason Smith, supervising sound editor Erik Aadahl, re-recording mixer Greg P. Russell, and actors Shia LaBeouf, Megan Fox, Josh Duhamel, Tyrese Gibson, Julie White, John Benjamin Hickey, Isabel Lucas, John Turturro, and Ramon Rodriguez. “Factor” looks at the success of the first film and the processes that went into the creation of the sequel. This means details about story/script/characters, robots and visual design, sets and locations, various effects, cast/performances, editing, audio and music, and the film’s release. Say what you want about Michael Bay, but he ensures his movies often come with comprehensive “behind the scenes” materials, and “Factor” reminds us of that. The documentary covers a wide array of subjects and does with reasonable honesty – especially when it reminds us that Bay can be a prick. “Factor” moves well and becomes a lively view of the production. From there we find a bunch of featurettes, and these begin with A Day With Bay. It lasts 13 minutes, 23 seconds and lets us follow Bay through a press visit to Japan. It offers a few insights into the way these junkets work, but it’s not a great program. During the 10-minute, 44-second 25 Years of Transformers, we hear from Lombardo, Goldner, Archer, and Hasbro design director Jared Wade. This looks at the toy franchise and its adaptation into the films. “Years” offers a smattering of good notes but it often feels like an advertisement. Next comes the Transformer Data Hub. It presents an interactive feature that gives us extensive information about a bunch of Transformers. It proves to be surprisingly detailed. The AllSpark Experiment delivers another interactive piece, one that lets you design your own Transformer vehicle . This might be fun for some but it does nothing for me. Under Deconstructing Visual Bayhem, we locate 15 segments, all of which come with commentary from pre-vis supervisor Steve Yamamoto. After a 25-second intro from Bay, we get 22 minutes, 46 seconds of pre-vis footage. Actually, we can view the pre-vis material on its own or on a split-screen that compares pre-vis with the final footage. The shots offer a nice view of the scenes’ conception, and Yamamoto throws in a decent array of notes. Three Deleted/Alternate Scenes fill a total of six minutes, one second. We find “Sam and Alice At the Dorms” (2:10), “The Witwickys in Paris” (2:54) and “Leo Refuses to Go to Egypt” (0:57). “Dorms” expands Sam’s arrival at college, while “Paris” offers a painfully extended look at Sam’s parents. “Refuses” just throws out some minor footage. None of these seem enjoyable. Giant Effing Movie goes for 24 minutes, three seconds and takes us to visit the shoot at various stages. It tends toward the comedic side of the production – it’s not quite a blooper reel, but it veers in that direction. Still, it offers some fun shots. A music video for Linkin Park’s “New Divide”. As usual, the movie mixes lip-synch performance with movie clips, though it gives the band shots a stylized flair. It’s still not a very interesting video or song, though. In addition to two trailers and six TV spots, we find two Galleries. These encompass “Theatrical Posters” (22 stills) and “Promo/Marketing” (41). Both are good, though I like the glimpses of movie merch in “Promo” best.